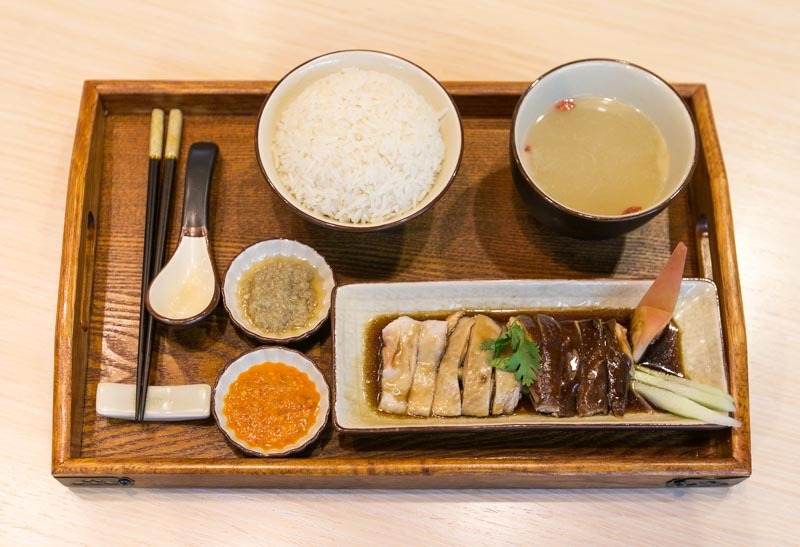 Roost: Singapore's First Chicken Rice Specialty Restaurant Serving Chicken Rice Sushi! 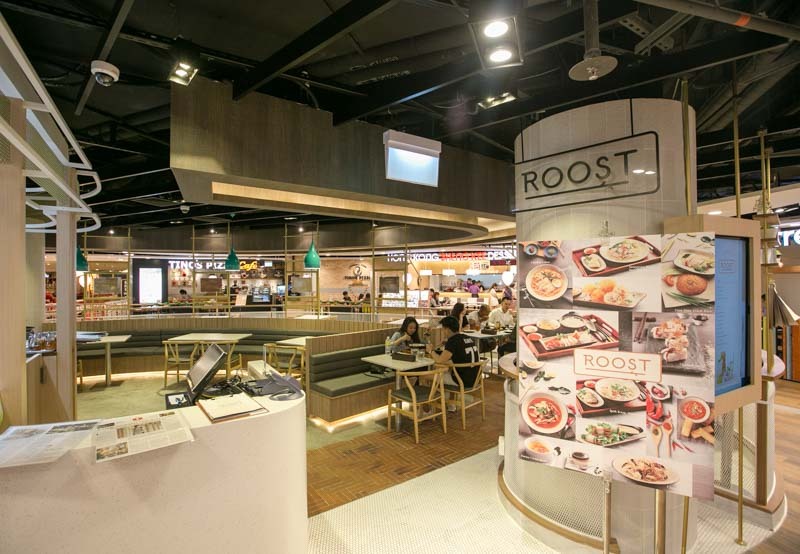 Roost: Singapore’s First Chicken Rice Specialty Restaurant Serving Chicken Rice Sushi! When we heard that there was a restaurant specialising in one of Singapore’s national iconic dishes, we knew we had to check it out. 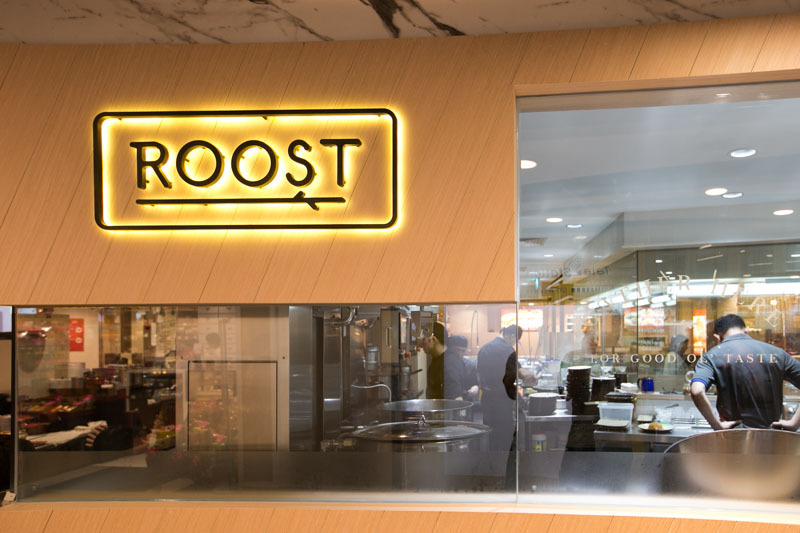 Located at The Centrepoint, Roost is a specialty restaurant that is focused on chicken rice, serving unique interpretations of this classic dish. Occupying 1,500 square feet of space, the interior of the restaurant spots a rather minimalist look, with the use of earthy wooden tones. Roost is brightly lit and has ample seats for groups of various sizes, perfect for a family meal or simply to introduce tourist friends to our national favourite. The menu puts a twist on the original chicken rice but it’s the cooking method that makes this restaurant stand out. All the chickens at Roost are cooked using a patented automated poultry machine known as iKook. We took a walk in the kitchen to have a look at the machine that made all of this possible. 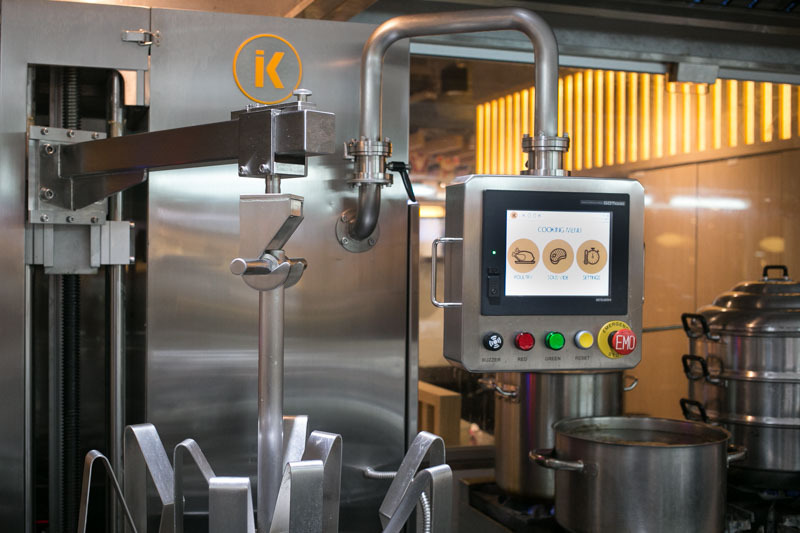 Born out of a dream of spreading chicken rice far and wide, the idea of the iKook was mooted in 2006, after seeing the automated machines that Krispy Kreme were using for the production of their donuts. iKook is the world’s first automated poultry machine capable of poaching, braising and sous-vide-ing up to nine whole chickens at one go, ensuring the consistent quality of the chicken, with minimal expertise needed. Let’s take a look at some of the amazing (and healthy) end products. 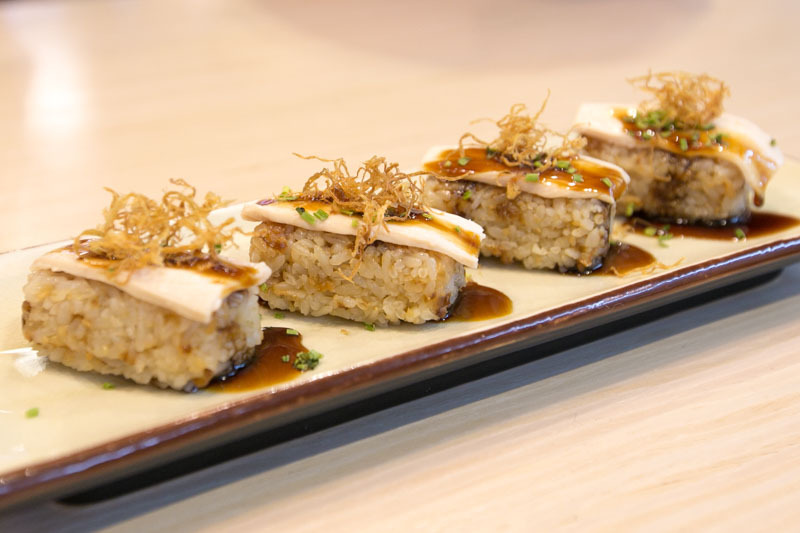 Taking inspiration from Japanese cuisine, the Chicken Sushi ($4.90) is perfect for starters. The chicken rice prepared here is made using canola oil instead of the usual chicken fats, yet doesn’t fall apart when picked up. The morsels were yummy, but we wish the rice to chicken ratio was a bit more balanced. 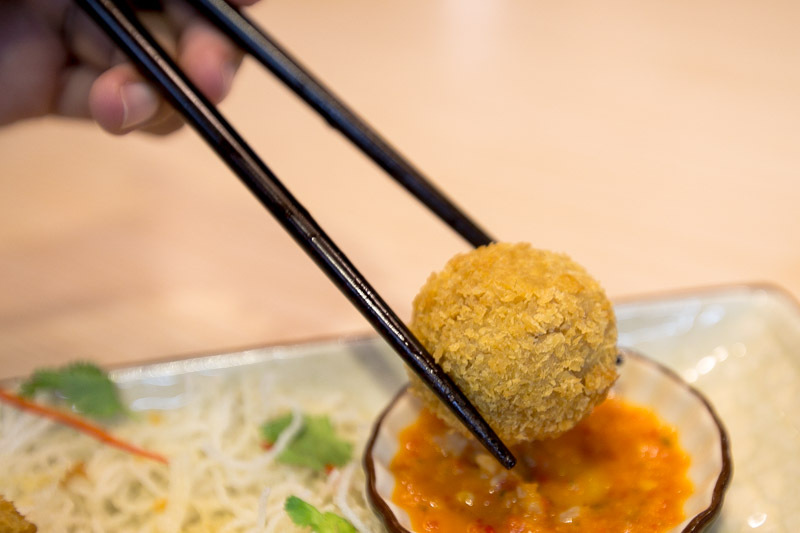 Another of the sharing bites you should try is the Crispy Chicken Rice Balls ($4.90). It sounded gimmicky, but biting into the light battered chicken rice ball led to an amazing taste explosion, especially when dipped into the homemade chilli sauce that had a slightly sour tinge to it. For something besides chicken, try the Chilli Crab Dip ($5.90) which features chunks of crab meat mixed with a sweet and spicy chilli dip. If you’ve never had chilli crab, you’ve never been to Singapore. It’s a really great and affordable way to try another of Singapore’s iconic dishes. Grab a thick slice of crispy toast and dip away! If you think this Chicken Rice Set is going to cost you an arm and a leg, think again. At a super affordable price, the Yin Yang Chicken Rice ($8.90) is a must try when at Roost. After all, this is probably the first time you’re gonna be tasting chickens cooked by iKook. Can’t decide which type of chicken to have? Try both varieties of steamed and soy sauce chicken. We must say that for a chicken cooked by a machine, it’s really well done. The skin was silky smooth with the meat still remaining moist and tender. 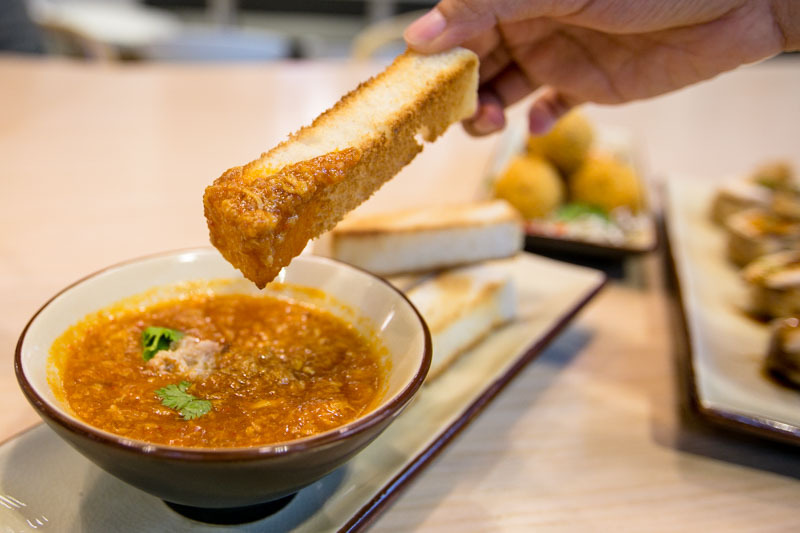 While soup is normally just an accompaniment, the soup here could probably hold its own. Sporting a cloudy white colour, one can easily tell that it was made entirely from boiling the chicken over a prolonged period of time. Chinese wolf berries are added for additional sweetness too. If chicken rice is not your thing, Roost serves other Asian dishes as well. 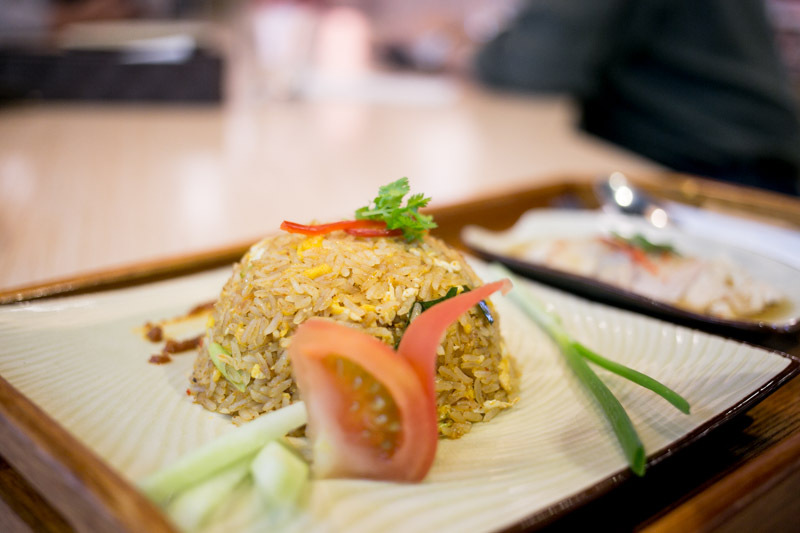 Chicken rice is used to create the Tom Yum Fried Rice ($8.90), with the addition of a tom yum paste. Extremely fragrant, we could smell the distinct spices and aromatics used in the dish. The Tom Yum Fried Rice is paired with a side of poached chicken in a lime vinaigrette, that worked extremely well in terms of flavour. I’m not surprised to see this dish on the menu, given how seafood white bee hoon has been gaining popularity. 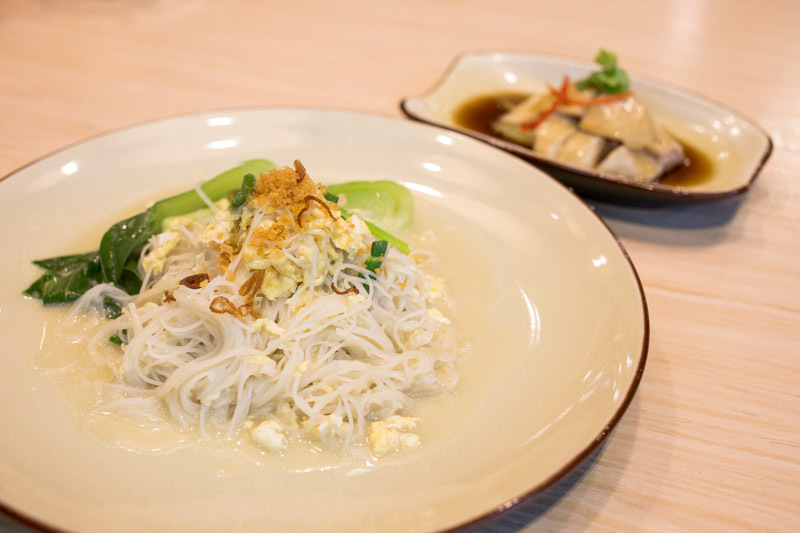 Made using a chicken stock, the Singapore White Bee Hoon ($7.90) is served with a side of poached chicken. We liked how flavourful the stock even with the absence of MSG. The bee hoon was cooked perfectly and was not too soggy. Despite trying so many mains, we knew that we definitely had to have dessert! 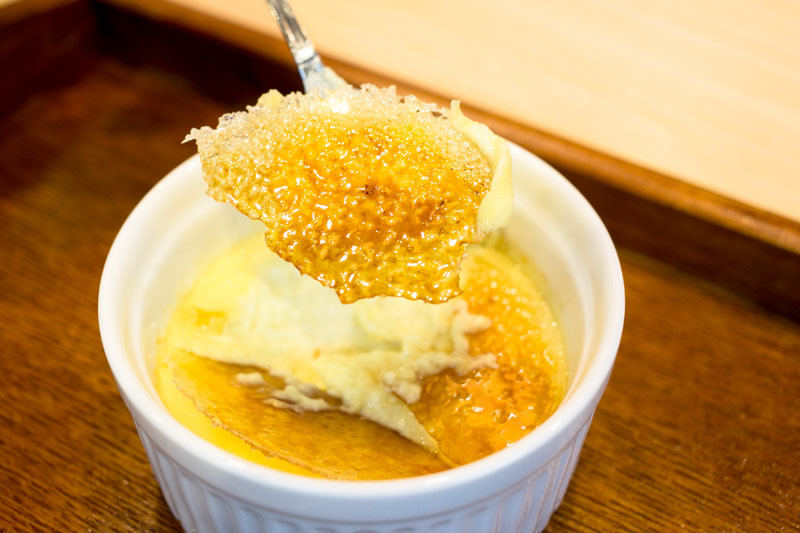 As true to Singapore flavours as can be, the Durian Creme Brulee ($5.90) was a great end to our meal here at Roost. Breaking into the burnt sugar layer, we were immediately hit by the aroma of the durian. A must order for fans of durian I would say! If durian is not your thing, check out the other options such as the Nanyang Panna Cotta ($5.90) and Snow Pear Dessert with Lychee, White Fungus and Wolf berry ($4.90). While the prices here are slightly higher than the chicken rice sold in hawker centres, we would pay for the difference to enjoy the consistent tenderness and flavour of the chicken. 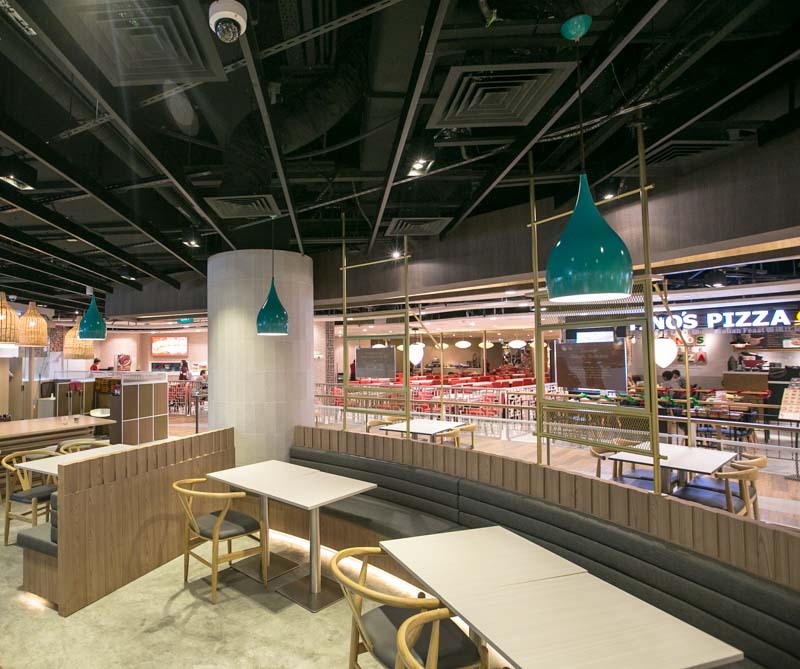 Best part of all, you get to skip the queues at some of the more popular chicken rice stalls and enjoy a nice air-conditioned ambience with a variety of other menu items to choose from.